I love it. Just love it. Everything about it. Click it – You won’t regret it! Bowling Green State University – kudos to you. Kudos for great lyrics, kudos for great production, and most of all kudos for taking a chance and thinking outside the box. I bet the donors who made the Stroh Center possible have watched this over and over and over! How else can you make a gift, get something cool named after you, AND star in your very own rap video? Thank you to ESPN for bringing this to the public’s attention! And now. . . The Stroh Center Rap featuring the donors who made it possible. What a difference timing makes! While watching Game 7 of the World Series, I happened to see a commercial for createjobsforusa.org – a partnership of the Opportunity Finance Network and Starbucks. I’d never heard of OFN, but Starbucks I know. Too well. The production concept reminded me of the girleffect.org video that has become quite popular since its launch a couple of years ago. I couldn’t decide if it was a tribute or a copycat, so I used my friends at Google to find the video online to allow me to compare the two. NOTE to OFN: You really need a YouTube Channel link on your website!! The verdict? The concept is obviously similar, but it wasn’t a clear cut copycat as I originally thought. I did decide that even though the case for support isn’t as appealing (the girleffect.org vid still gets to me) I LOVE the fact that they did it in sixty seconds. TGE comes in at 2:23 and feels long to me, even with the better story to tell. Like most, I have a short attention span. I’d love to see a one minute version of the original girleffect.org video. Don’t know if the whole story can be told in sixty seconds or not but I’d like to find out. Click Click here to Tweet Tweet with @GettingGiving on Twitter! Y’all know I like to remind fundraising professionals not to base their strategy on what they like. Or how they behave. Or what they think. Good decisions should be based on what works for your donors and prospects. The data may confirm your gut instincts, but not always. If you need a reminder, following is a nice poster to put in your office – consider it my year-end gift to you! Before you ask, that is NOT me holding the sign! Control-Click the image and choose ‘Save As’ to save to your computer. 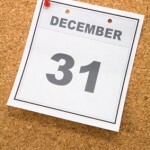 December 31 will be here tomorrow. Well, not really, but it sure will seem like it! Not a year goes by that I don’t hear horror stories from folks that their year-end appeals went out late. Or their website wasn’t tuned up to maximize year-end giving. ”Late” means something different to everyone, but suffice it to say that with less than three months to go in the calendar year you should be working diligently to produce your year-end appeals. Web, mail, email, phone, text, whatever it is, now is the time to prepare! The only person to blame when your snail mail appeal goes out on 12/30 is you. Your donors won’t wait, and Father Time has a funny habit of bringing the year-end to us regardless of our level of readiness!! It’s the most wonderful time of the year! Many happy returns! A word of warning. . . this has nothing to do with fundraising. 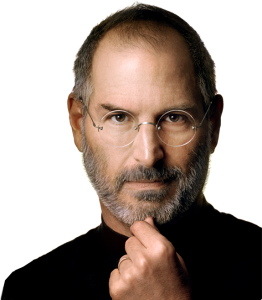 But I am compelled to write a little something about Steve Jobs, and since it’s my blog I reserve the right to get off topic occasionally. Steve’s impact on my life (and yours) is immeasurable. 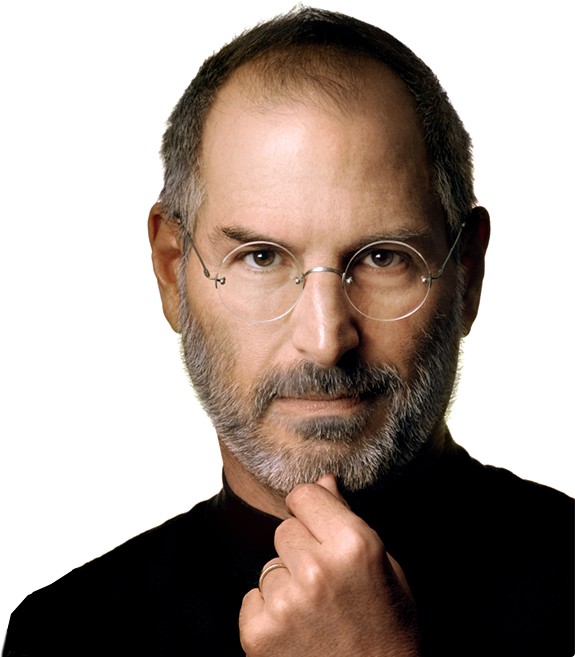 Even if you have never purchased an Apple product (and that’s statistically improbable) he has influenced many of the technologies you take for granted today. The news is not unexpected. . . he’s been sick, he stepped down, and the rumors have been around for some time that his death was imminent. But as I type this, I’m watching CNN and it’s still hard to imagine a world without his vision. This is the guy who invented the mouse. And a tiny device called an iPod that revolutionized the music industry. And another called the iPhone that I thought was maybe the coolest thing ever invented. Until iPad. That’s the coolest thing ever invented. I’m confident it wasn’t easy to work for Steve Jobs. He’s quirky, opinionated, a perfectionist and a micro-manager. He supposedly wasn’t always all that friendly. But he certainly had enough creativity, vision and genius to make up for it. A hundred times over. I have a confession: my first computer was not an Apple. It was an Atari 400. I feel guilty about that today! It didn’t take long, though, until I was introduced to the Apple world with the Apple 2e. I’m pretty sure my alarm clock is more powerful, but I loved it. I upgraded to a 2c soon after. According to our friends at Wikipedia, the 2e was introduced at $1,400. Adjust that for inflation and you’re talking about a little more than $3,000. Thanks mom and dad! Then came the Mac. I had more than a few Macs over the years, and each was a little better than the last. 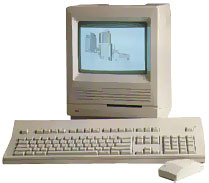 A Mac got me thru college, with a little dot matrix printer and 2400 baud modem. I remember using the internet and thinking about how cool it was that I could chat with people (text, painful chat) – even at that speed. BTW, it was on a Mac that I first played around with what was a precursor to HTML. If only I had the vision to connect the dots: internet->phone->chat->graphic->easy->stock->private jet or yacht. Missed that one. Then the dark days, my first jobs and the shift to PC/Windows environment. To be fair, I still use a PC at work and it’s fine. But for several years, I made the switch completely. Apple was out of my life at home because it was simply easier to deal with a single operating system. Thank goodness that isn’t an issue anymore. I suppose the iPod (gateway device) brought me back into the Apple world. That first iPod was a life-changer. I probably saved 25 square feet of CD’s in an instant. I believe my wife and I have purchased 9 iPods over the years. We already have plans to get my daughter her first ‘official’ Apple iPod this Christmas. How many products can generate loyalty and product enhancements to drive that type of purchasing behavior? iPhone. How, exactly, did I live without that thing? If I leave my iPhone somewhere, I’m pretty sure my heart stops beating. And finally, iPad. Many have tried tablets with other portable devices (including Newton) and just couldn’t get it right. Steve Jobs did. The old ‘what do you take to a desert island’ question is no longer challenging. iPad does it all. 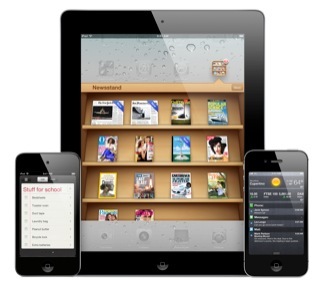 It’s hard to believe the first iPads came out less than 18 months ago. That’s insane. The total combined cost of my current iPad, iPhone, MacBook Air , Apple TV and iPad are less than the inflation-adjusted cost of that first Apple 2e. That’s nothing short of a miracle. They’re all a direct result of Steve Job’s genius. They’re all amazing. They’re all revolutionary. And they all make my life (and many of yours) better each and every day. Thank you, Mr. Jobs, for your talent. Thank you, Mr. Jobs, for your genius. Thank you, Mr. Jobs, for your vision. Most of all, thank you for creating so many products that made me want to get up at midnight and stand in line.